It is Movies & Munchies Thursday! Whether you know it as a mug of hot chocolate or hot cocoa, the official drink of The Polar Express is one that we all love to enjoy during the cold days of December. 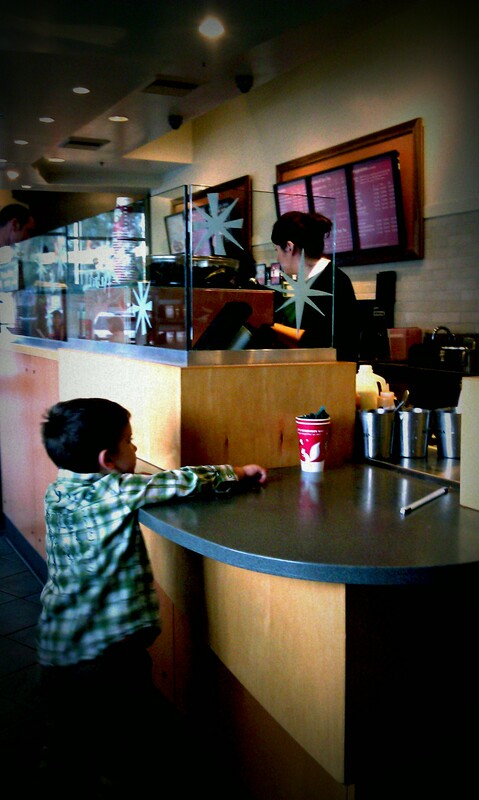 Kids love cocoa too, I know Dallas has quickly come accustom to the utlra-sweet Starbucks variety. 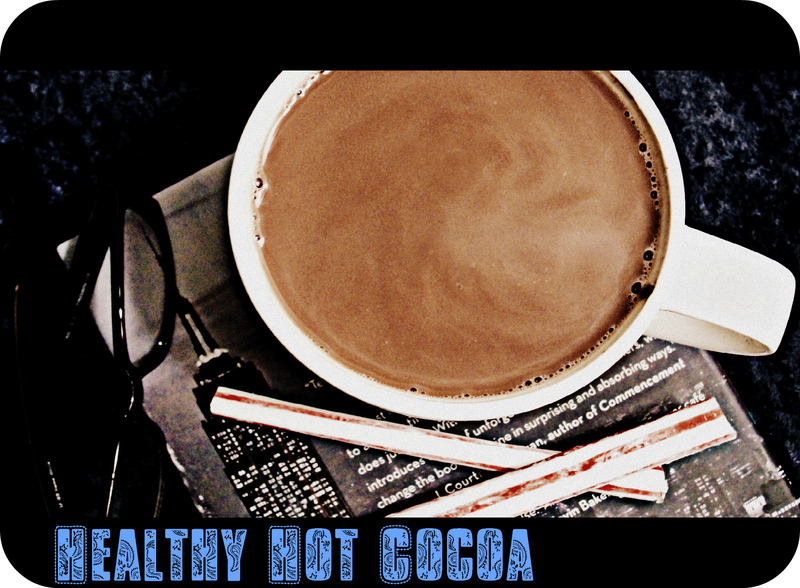 When searching for ways to cut back on the sugar in hot cocoa, I came upon a brilliant idea. Make your cocoa with tea instead of milk and sugar! You’ll need a flavor of tea which would appropriately match chocolate. Mint, vanilla, raspberry and even earl grey match well with cocoa. Mate, peach or lavender teas, not so much. Cocoa powder has no sugar in it and it is one of the top sources around for antioxidants. If you can get your hands on some dark chocolate cocoa powder, you’ve upped the antioxidant ante. Simply brew the tea of your choice and pour straight into a mug of cocoa powder. You’ll need about 2 T. of cocoa powder per drink. Sounds like a lot, but again…it has no sugar! If you use a little less, your resulting cocoa cup looks a little bit too swirly and watery (very brain like), so go with the extra powder. I used peppermint tea and winter spice, both were wonderful! Hellooo Newman and hellooo healthy cocoa! “One thing about trains, it doesn’t matter where they’re going, what matters is deciding to get on.” There comes a time early in our life when we lose faith, at least a little bit, in the magic of Christmas. Typically, this time coincides with a certain discovery, sometimes unraveled by a friend, sibling or our parents. It’s never fun and often traumatizing. Some would even say, this discovery is the first introduction of cynicism in our lives, a behavior that as adults seems to completely take over. The belief in Santa Claus is a belief in a world of selfless giving and the magic of Christmas. 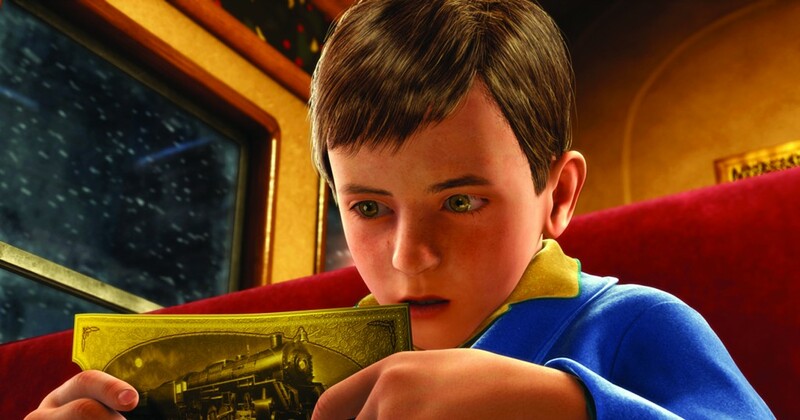 In The Polar Express, we are introduced to a boy whose belief in Santa Claus is waning and before he can completely come to an ultimate conclusion. While lying in bed, listening for Santa’s sleigh, in roars a giant steam train headed for North Pole on Christmas Eve. The film has a unique look and the cinematography alone bring about a sense of magic. Based on a popular children’s book, the filmmakers used a special new technology (for 2004) called performance capture (at a whopping price tag of $165,000,000). The technique has since been used for many other films, including; Lord of the Rings, King Kong, Rise of the Planet of the Apes, Jim Carrey’s A Christmas Carol (also directed by Zemeckis) and most famously, Avatar. The technology has actors act out the film with sensors attached to them, capturing their performance and adapting it to a computer generated image. The results are amazing and are unlike any other kind of computer generated animation. While Tom Hanks plays almost every major character in this film (a total of six), there are a few odd ball cameo’s of note; The portrayal of the “know-it-all” kid is actor Eddie Deezen, best known for playing Eugene Felnic in Grease (you can’t miss the voice when you first hear it) and Peter Scolari, who was best known as “the other guy” in Bosom Buddies (a Tom Hanks hit sitcom) voices a lonely boy devoid of confidence that Christmas and Santa Claus is meant for every child. Sometimes as we get older, we are forced to believe in only the tangible things we have in front of us. Idealism fades in the face of a reality we were mostly protected from as a child. This film attempts to teach us, “Seeing is believing, but sometimes the most real things in the world are the things we can’t see.” There are several themes explored, such as sacrifice, trust, and work ethic. 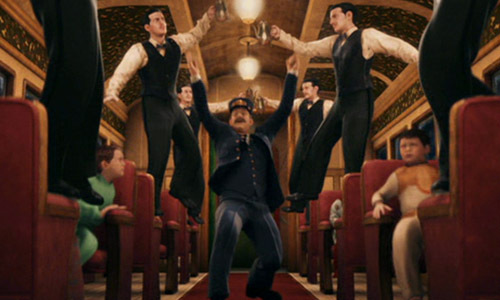 But at the core of The Polar Express is a reminder of the importance of maintaining at least a small sense of pure childlike faith, even throughout our adult life.